It might seem like a decision that holds little importance. That could be further from the truth, though. 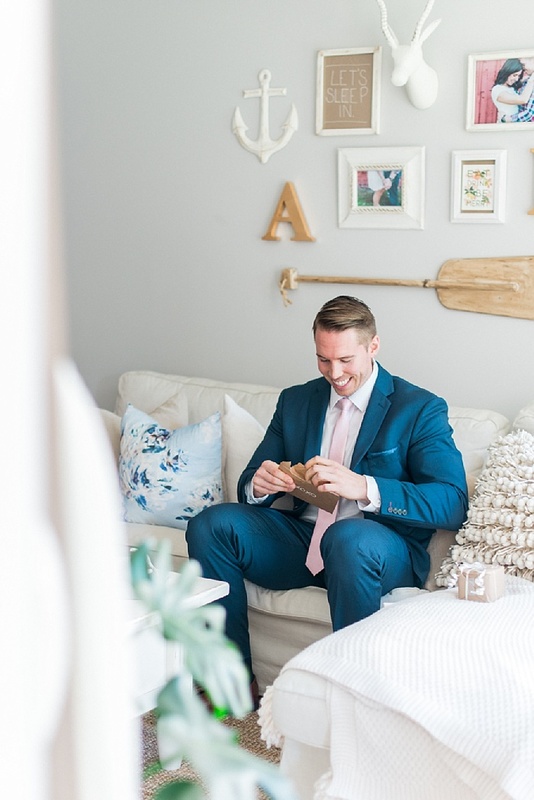 The "getting ready" location is such an important part of your day from a photographic standpoint and today I'm sharing a few tips for choosing a location that will suit you best. There seems to be a fascination with choosing a getting ready location that is physically close to the ceremony. Brides are worried about how long it will take for them to get over to the church or to the venue, when in fact, I see this little bit of distance as an enjoyable part of the morning. Five girls, fully decked out in hair and makeup, wearing their beautiful dresses and holding bouquets in their laps, pile into a limo and pop a bottle of champagne. That 20 minute ride can be a welcome breather and a reminder that this day is supposed to be a blast. Alternatively, if you're close enough in your getting ready location that you're able to walk to the ceremony, that makes for some wonderful memories as well. The walk should feel effortless, not painful. If you're worried about your feet or the heat, it might be too far. 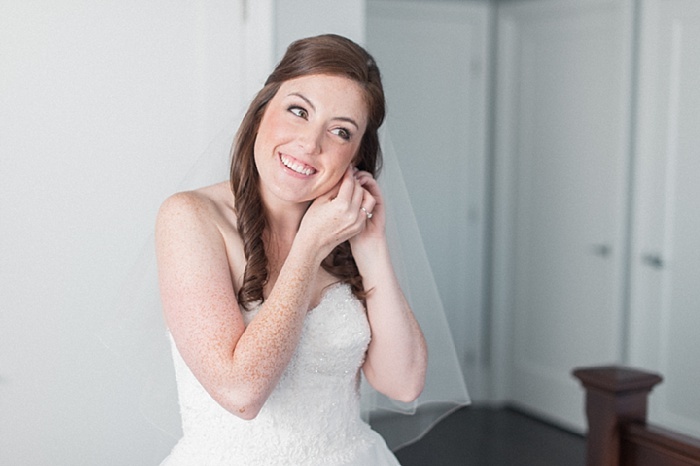 The getting ready site can enhance your wedding photos dramatically. A space that is bright and inviting will make your preparations feel relaxing, as if you're at a spa and you're being pampered. For some, this might be your home. 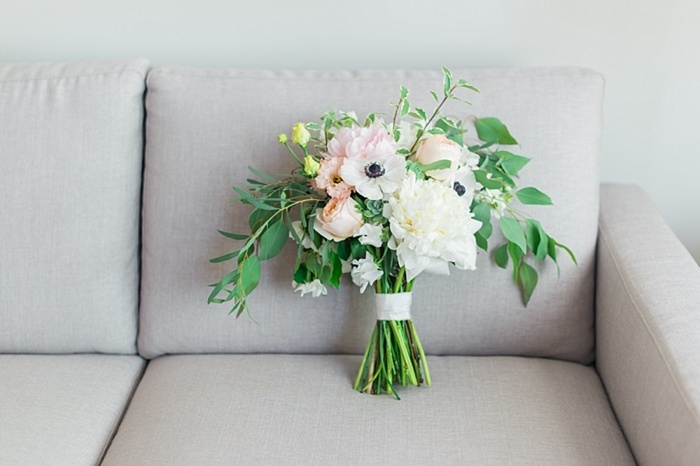 For others, it could be the home of someone you know or a space that's included with your venue. Alternatively, about half of the brides I photograph are getting ready at a nearby hotel. Hair, makeup, sleep-over bags, gifts, champagne bottles, shoe boxes, dress hangers -- the "left-overs" from the morning's preparations are endless. If the idea of having a major cleanup waiting for your after the wedding night gives you anxiety, you're not alone. I'm the kind of person who does a huge tidy before leaving for a vacation because I love that feeling of returning to a clean home. If this is you too, then getting ready in your home might not be your best choice. If your home is mega-organized and you are getting your hair and makeup done at a salon, maybe your living room would be the perfect place for your champagne toasting, so don't count this option out just yet! Getting ready in your beautiful home has other benefits, too. Likely your wedding style is similar to your at-home style, so finding great spaces to shoot and personal details to include will come easily. 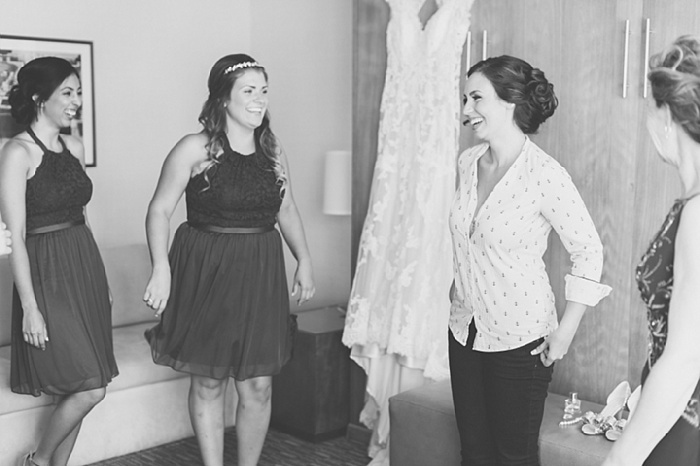 It's fairly common for the bride to have one room where all the getting ready will take place (i.e. hair, makeup, bridesmaids dresses on, a hundred trips to the washroom for teeth brushing and final adjustments), while another room is being used as a "clean room." This room will often be the one where the bride's parents are staying that night. After being granted an early check-in (feel free to use your "I'm a bride!" status to secure this), it becomes the perfect spot to head once the bridesmaids are ready. 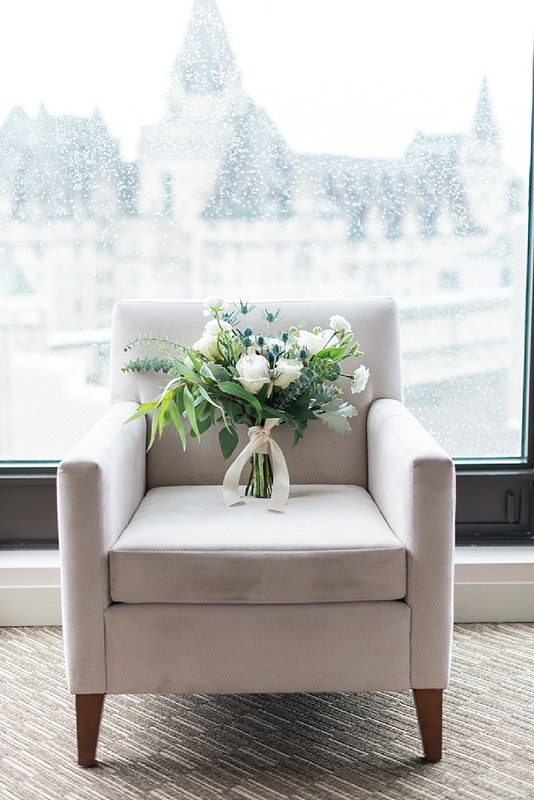 In this clean room, we'll do all of the bride's finishing touches, including her dress, jewellery, reading a card from her soon-to-be-husband, and having a glass of champagne with her girls before departing for the ceremony. Regardless of the space you're thinking of getting ready in, the Instagram test will apply. Try photographing anything from a Starbucks cup to a pair of shoes using only your phone. Is it incredibly easy to find good light and pretty backgrounds? Or are you having to do an awful lot of "staging" to hide the clutter and find flattering angles? If it's easy and it's bright, and your cellphone photo looks instagram-ready, that's a good sign that you've found the right space. 1. Champagne glasses for the whole group. 3. A hanger with divots on the sides to hold the straps of your dress. 5. Lots of natural light! I'm a big believer that a relaxing morning makes for a perfect wedding day. Treat yourself by getting ready in a space that makes you happy, and your photos will radiate that same joy.